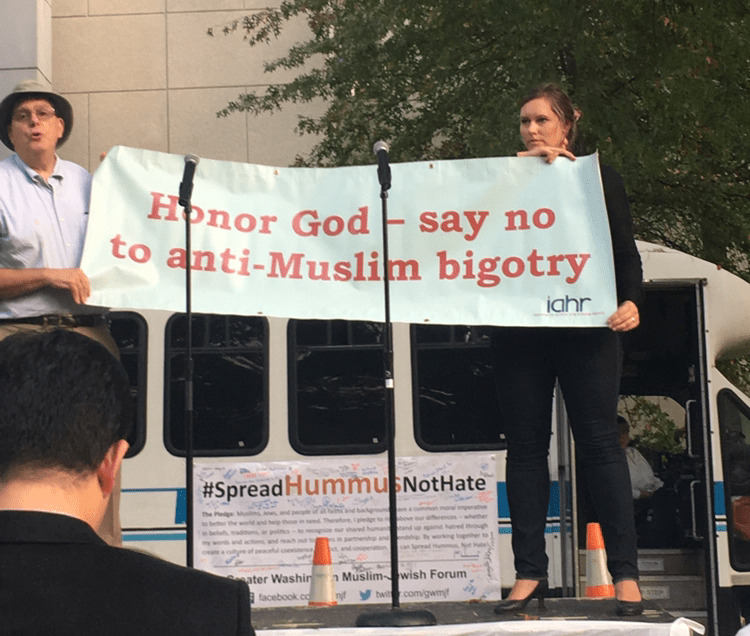 The stickers read “Spread Hummus, Not Hate.” On the American University quad Oct. 20, people wore them as a reminder that we all have a part in conflict resolution. 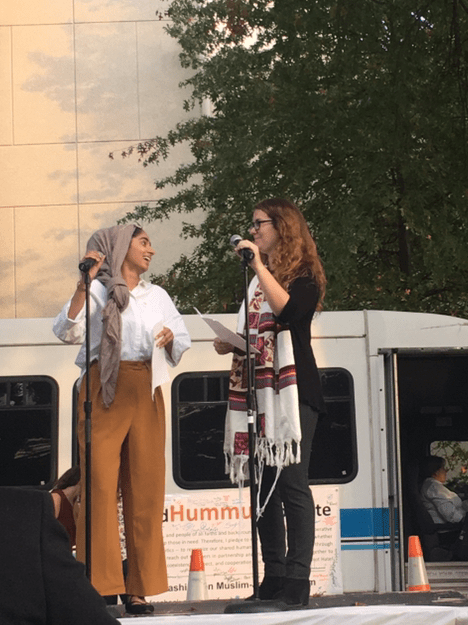 The event was run by the Greater Washington Muslim-Jewish Forum, which ties together Muslim and Jewish activists, and co-sponsored by a collection of religious and academic groups. Throughout the day, advocates and chaplains alike spoke about the trials and tribulations involved with furthering peace between ethnic groups. Students, professors and religious leaders took the stage to discuss their faiths, their experiences with hatred and prejudice and their thoughts on peace. Ambassador Akbar Ahmed, Ibn Khaldun Chair of Islamic studies, told the crowd that he joined the university around the time of the 9/11 attacks. In the aftermath of the disaster, he said, “a chasm had opened between communities and religions,” and since then Islamophobia has continued to grow. But while he saw hate, he also saw an opportunity to fight oppression—and an opportunity for the country to learn about the Muslim community. Now, the upsurge of Islamophobia and anti-Semitism around the presidential election is apparent, said Walter Ruby of the Foundation for Ethnic Understanding. Muslims and Jews, he added, should come out in public and commit to standing up for each other in the face of discrimination. And no matter what happens during the election, he stressed that both denominations are there for each other. Kathryn Orsborn, director of the Shoulder to Shoulder campaign to stop anti-Muslim bigotry, spoke about the Religious Freedom Pledge, which 100 leaders of different faiths have signed, and encouraged that we put pressure on our elected officials to stand up for these ideals.